The passage of this law is an important development for all Houston media, particularly Rice student media. We will now be able to more thoroughly investigate RUPD’s policing when complex situations requiring civilian oversight of police arise. For instance, open records requests would have been useful when we were reporting on the controversial RUPD bike theft incident that occurred in August 2013, in which officers hit a man over 30 times with a baton in an attempt to subdue him for arrest. According to a March 17 article in the Houston Chronicle (“Bill would make private university reports public”), requests made by the media organization KPRC for information on the incident were not honored. Following the passage of this bill, Rice must be subject to the same requirements of transparency as all other officers of the state. 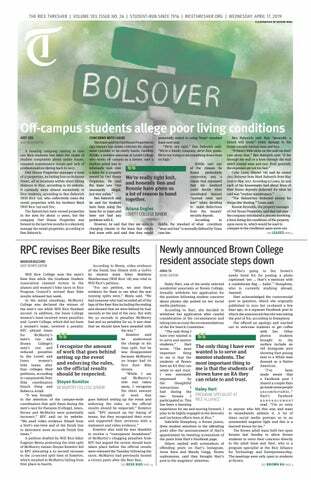 Considering RUPD polices areas just outside campus and often arrests individuals who are not affiliated with Rice, as in the case of the bike theft, this ruling affects not only the “Rice bubble” but also the local Houston community. This should not be seen as an occasion for fear or panic among the student body regarding the effects of disclosing police records on future educational or career endeavors. Although one’s slate may now only be hidden as opposed to wiped clean, there is little reason for future employers to seek out one’s record through the Open Records Act. Public institutions of higher education have been subject to this law for decades and this has not been a pressing issue for their students. Additionally, no information that violates the Family Educational Rights and Privacy Act will be made public. Information on particularly sensitive topics such as sexual assault, suicide and mental health, as well as juvenile records, will continue to be kept private. From the exemptions of these topics, it is clear that this change is not intended to compromise students’ right to privacy and confidentiality but to create a more safe and equitable campus. Just as with RUPD’s implementation of body cameras, this situation presents an opportunity for Rice students to become more aware of their policing rights, and moreover, to engage within their community. We are uniquely privileged to have access to a full-fledged police force that serves only a few thousand people, providing focused and expedited policing. We have a responsibility to educate ourselves on how to proceed with placing an open records request, both in order to be engaged within our community and to be better equipped in addressing situations involving student judicial proceedings.